Following their auspicious start, the band returned in 2011 with their sophomore full length, As High As The Highest Heavens And From The Center To The Circumference Of The Earth. As High As The Highest Heavens saw the band solidify their direction and further mature their sound, but it wasn't until 2013's Circumambulation (TRUE WIDOW's debut album for independent label Relapse Records) that they reached the heights - both professionally and compositionally - they have now. Circumambulation garnered the band widespread praise both within and beyond the metal world and was praised by publications as diverse as Pitchfork, NPR, Decibel Magazine, and Metal Injection. The band followed up the success of that album with extensive touring across the US, Russia, and Europe, including numerous appearances at renowned festivals such as Roadburn, Fun Fun Fun Fest, Psycho California, and more. This year, Avvolgere, the forthcoming LP from Texas trio TRUE WIDOW, perfects the formula that Circumambulation established. The album rocks and rolls with serene, rounded climaxes and steep, jangling choruses that engulf the listener with waves of downbeat, saccharine melodies and mesmerizing distortion. 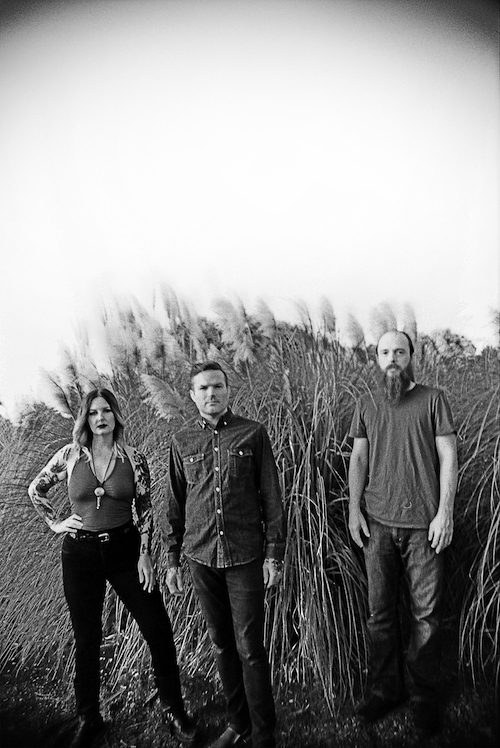 TRUE WIDOW's signature alternation between male and female vocals helps further blur the boundaries between the heft of stoner rock, the droning atmosphere of shoegaze, and the twangy catchiness of blues and indie rock. It's both concise and circuitous - the album takes you on a journey that you can't ever quite predict or expect. Avvolgere is TRUE WIDOW sounding more infectious and consummate than ever before.